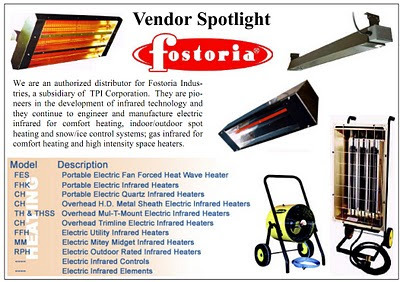 Vendor Spotlight: Fostoria and Markel - Mor Electric Heating's Blog about home, office & factory comfort heat & freeze protection for pipes & roofs. 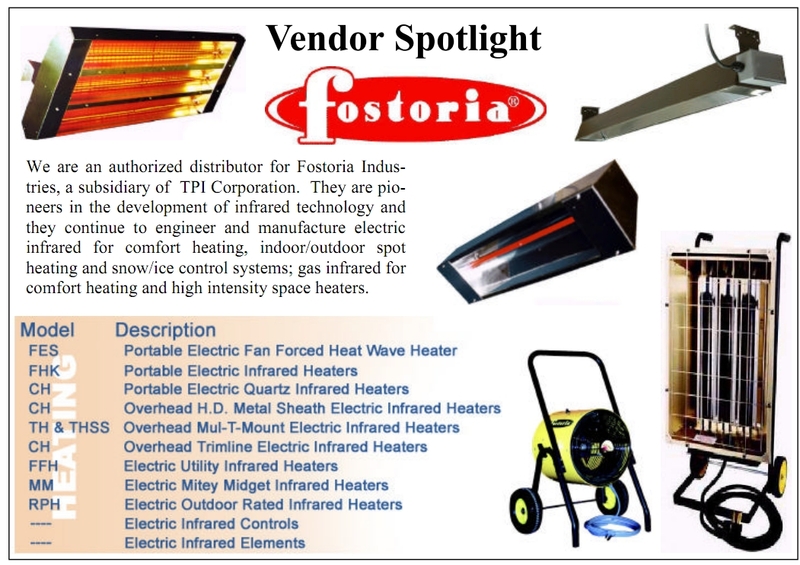 We are an authorized distributor for Fostoria Industries and Markel Products (TPI Corporation). They are pioneers in the development of infrared technology and they continue to engineer and manufacture electric infrared for comfort heating, indoor/outdoor spot heating and snow/ice control systems. Click here for a gallery of images from TPI Corp. showing Markel and Fostoria products.